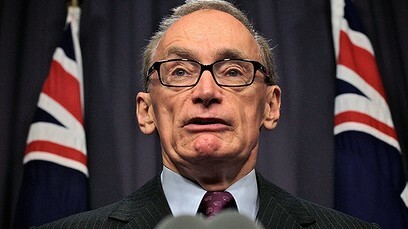 Former Australian Labor Party Foreign Minister, Bob Carr, this week released a 500 page book titled “Diary of a Foreign Minister” depicting his activities in office from March 2012 to September 2013. It includes a vicious attack on the Jewish communal leadership, charging it with disproportionate influence on government. 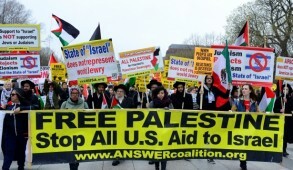 The criticism is reminiscent of the notorious Stephen Walt and John Mearsheimer book on the Jewish lobby in America. For the sake of full disclosure, prior to my aliya, I was head of the Australian Jewish community for three terms. My brother, Mark Leibler, presides over the Australia-Israel and Jewish Affairs Council (AIJAC), which is the Australian equivalent of AIPAC. Currently he is indisputably considered the most influential Jewish personality in the country. Carr accuses former Prime Minister Julia Gillard of being controlled by the Jewish lobby and “subcontracting our foreign policy to party donors”, denouncing the alleged power of pro-Israel lobbyists as “unhealthy”. He also condemns Jewish leaders for promoting “an extreme right-wing rather than a tolerant liberal Israeli view” and seeking to “win on everything”. He singles out AIJAC Chairman Mark Leibler, accusing him of employing a “how dare you” tone in relation to Australian votes at the UN. “Why can’t he and the lobby understand that their ‘take no prisoners approach’ creates immense harm?” asks Carr. He also refers to the two former Gillard government Jewish ministers, Mark Dreyfus, who served SS Attorney General and Michael Danby, chairman of the Parliamentary Joint Committee on Foreign Affairs, as representatives of the pro-Israel “falafel faction”. To its credit, the Jewish leadership displayed a united front and Leibler, its principal spokesman, issued a powerful but dignified response to this bigoted outburst. He dismissed as a “figment of the imagination”, Carr’s allegations that the Jewish lobby had intimidated or ever communicated to him or other politicians in anything other than a respectful manner. Leibler pointed out that in his various meetings with the Foreign Minister, despite legitimate differences, Carr (in the presence of witnesses) had actually complimented him on the manner in which he presented his viewpoint. 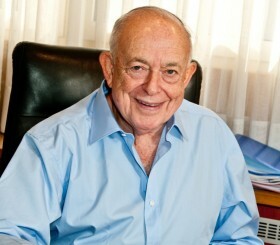 Leibler was outraged with Carr’s “disingenuous” allegation that the Jewish lobby represented an extreme right wing viewpoint on Israel. He pointed out that, as in Israel, there are differences of opinion in the Jewish community on issues such as ongoing construction in areas outside Jerusalem and the major settlement blocs. But beyond insisting that the settlement issue was not the core of the Israel-Palestinian conflict, AIJAC consistently avoided adopting a position on these matters. It was strongly supportive of a negotiated two state solution which hardly warranted being defined as “extreme right wing”. 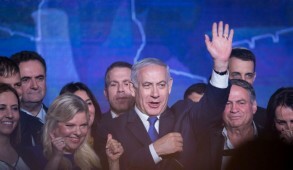 When Leibler was challenged by the media as to whether the pro-Israeli lobby exerted undue influence on political leaders, he expressed pride that those promoting the case for Israel had done so in an able and persuasive manner. He stated that it reflected the good standing of the community that, with a few notable exceptions, the Jewish leadership was granted ready access for consultations with the heads of successive governments on matters of Jewish concern including Israel. However, he stressed that senior politicians, including Prime Ministers with whom he and other Jewish leaders had canvassed, had minds of their own and it was outrageous to suggest that they were bribed or improperly influenced by the Jewish lobby. He also noted that the right to lobby or promote independent views was a major component of any democracy and many other lobbies canvass support for what they consider to be important. Indeed, Carr was once considered a close friend of the Jewish community. Yet as an Australian media commentator noted this week, he became “the leader of pro-Palestinian opinion in Labor” reflecting “the surging Moslem population in Western Sydney…Carr’s factional home is now pro-Palestinian because electoral arithmetic demands it”. This already surfaced in 2003 when, as Premier of the state of New South Wales he dismayed the Jewish community by presenting the Sydney peace prize to Palestinian political activist, Hannah Ashrawi, notorious for her rabid demonization of Israel. He visited Israel last August and I hosted a dinner party in his honor, inviting a number of senior politicians and journalists. There was frank exchange on many issues and Carr sought to impress us that he was fervently pro-Israel. At his request, he returned to my home the following day because he wished to discuss a number of books in my library concerning the Holocaust and Primo Levi. On that occasion he expressed highly complementary remarks about my brother’s role in promoting the case for Israel. Yet, immediately on his return home, he dispatched a delegation to Iran to solicit votes for Australia’s UN Security Council candidature and gave undertakings to Arab and Third World countries that he would alter Australia’s long standing support of Israel in return for their votes at the UN. 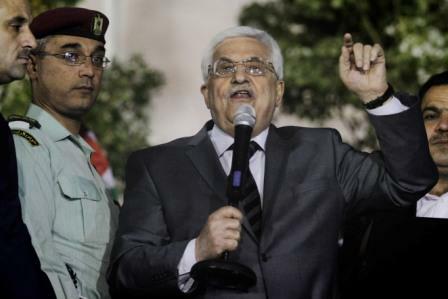 Subsequently, he engineered Cabinet support to overrule the instructions of Prime Minister Julia Gillard and Australia abstained in lieu of voting against the resolution recognizing the Palestinians as an observer state. He bluntly stated, “I don’t apologize for the fact that Australia has interests in the Arab world. If we had voted no, that would have been a body blow to our interests in over 20 countries. The truth is they all see this as a bedrock issue”. Carr also demonstratively hauled over the coals Yuval Rotem, then Israel’s ambassador to Australia (whom he refers to in his book as “the cunning Yuval”) for the Israeli government decision to continue building homes in the Jewish suburbs of east Jerusalem and adjacent areas. There is little doubt that whilst Carr’s hoary accusations of a Jewish cabal controlling the government will please and possibly embolden anti-Israeli elements and anti-Semites, it will have marginal impact on the Jewish community. Indeed, the current Prime Minister Tony Abbott and his Liberal government are shaping up to being as friendly to Israel as Stephen Harper and his Canadian government. And despite the former Foreign Minister’s hostility, the new Labor Leader of the Opposition Bill Shorten, in a recent address to the Australian Zionist Federation, vigorously sought to mend relations with the Jewish community. 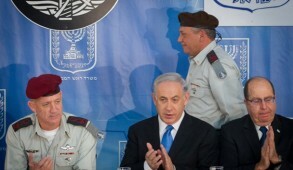 In addition, the former Labor Prime Minister Julia Gillard last week again visited Israel. 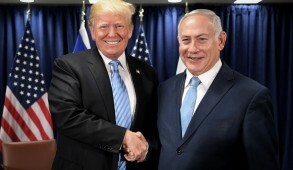 In fact the long standing bi-partisan friendship towards Israel which has, with few exceptions, prevailed since the creation of the Jewish state, has now largely been restored. That a dominant proportion of the Jewish community (currently estimated at approximately 120,000) are the offspring of Holocaust survivors has intensified the community’s passionate Zionist orientation. This in turn, has led to the emergence of leaders who have no hesitation in taking up assertive but responsible positions on matters of Jewish concern and on behalf of Israel, as and when appropriate. Their dedication undoubtedly contributed towards persuading successive governments to appreciate the case for Israel. Indeed, Australia could serve as a role model for leaders in other Diaspora Jewish communities. The writer’s website can be viewed at www.wordfromjerusalem.com.